Where are you a pastor? I think I might just like to slip into the back and listen for a time or two. I feel lost. I had done some work for a church which had agreed to pay me for services rendered. When I submitted my request for payment, I ws treated most hatefully, screamed at by the treasurer “IF you pay that _____ I’m having no more to do with this group!” The church moderator and visiting denominational pastor both sided with and supported him. I didn’t argue. I won’t fight over money. I just left. I’ve been so hurt. A church that I thought was my family almost 11 years. 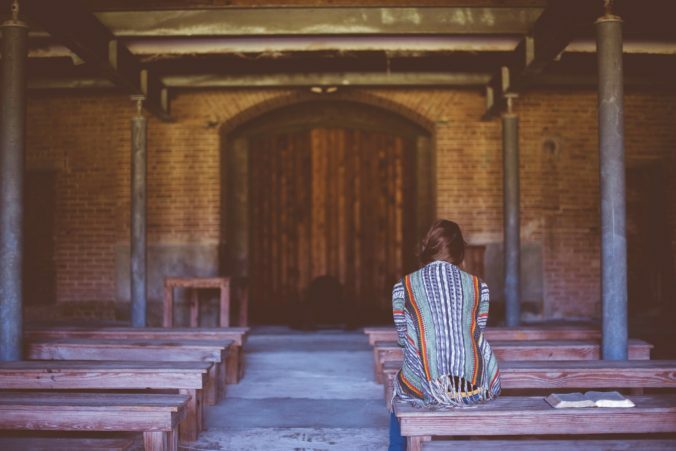 I have no family but friends–two of who had already left that church. I have other friends but my heart was deeply hurt and I’ve not been to church anywhere in over a year. I forgive those folks. I just don’t want any more to do with any of them. I miss having a spiritual home. I have a sis-in-law, 3 nieces (with their own families) but none want anything to do with me as a gay person. So my friends, my church–that was my family. Now, I have 5 friends and don’t know if I’ll ever darken a church door again. However, after reading some of your posts, I think I might be tempted to slip in a back door and listen in person a few times if I knew where to go. I don’t know where I’m going. I do just feel kinda lost. I love God, and Jesus. They’ve always been my dear friends. So thankful for so much. Gale, you are not alone in your journey or feelings. The pain of becoming aware of people’s true intentions and agendas can be discouraging and depressing. Yet, if your experience is like mine, you will discover a whole new sense of freedom and find a new community of relationships and friendships that feel like real church without all the buildings, politics, conditions, and pretentiousness. Above all, I pray you realize that your experience is indicative, not of something wrong with you, but the reality that much of church has drifted far away from the heart and ways of Jesus. I hope we can stay connected. If we are not friends on fb, I hope we can become so! Thanks so much for reading and commenting on this article! Chris, this is such a powerful message, and such an important one. Keep on repeating it because it so badly needs to be heard and acted on. I love particularly what you have to say about the importance of being Grace centred. And always the difficulty here is that the more we want to be something the easier it is to make it a rule and then grace is lost again. Reading your explanation here was a little like Paul’s admonition to the Galatians. I love the message you bring, Chris. Thank you, thank you, thank you. Jem, you are always such a great encourager! Thank you for reading and commenting with such generosity and love. This will never happen. The personsl schism between those that follow and promote “The Law” and those embrace and promote “Grace” as the basic Christian principle of the church is as old as the church itself and it continues to fester today. It is endemic within the church and in our society..
Kiersten, thanks for the thoughtful comment to this article. I agree, the situation is daunting, but I still have hope. Ian, thanks for reading and commenting on my post, I am saddened to hear the costs that truly following the heart of Jesus has caused for you and your family. as someone who do believe but have enough of religion for the rest of my life , i could only say thank you! i grew up catholic, and saw how many of them were hypocrites who went to church every sunday, but never acted like christians the rest of the time. and as a lesbian, as well as trans ally, i have been bullied and called foul names countless time online. standing with muslims did no good, as well….. these people claim to be christians, but are dismissing other religions, or non religious people, and could not act like real christ followers. i’m grateful for the open minded christians, who are standing with the poors, the outcasts, the muslims. they are here. but the church, not so much…..
Stephanie, Amen to all of that. Well said!